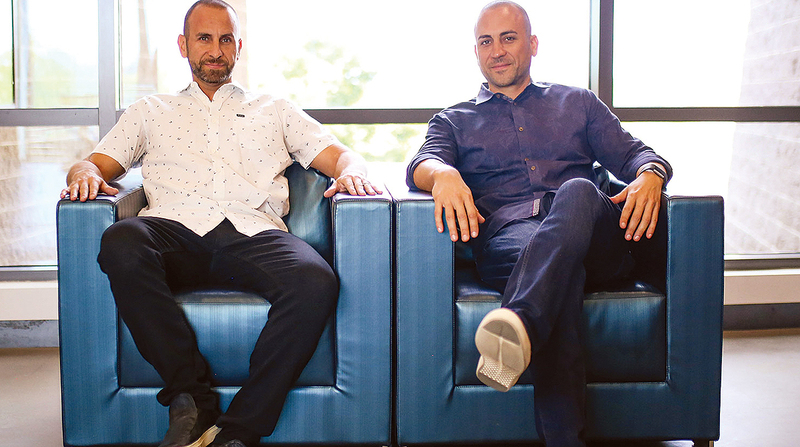 Serial entrepreneurs Andrew and Michael Leto, who started GlobalTranz Enterprises and 10-4 Systems, both of which were sold earlier this year, are launching a new enterprise. It is a software platform called Emerge that allows shippers and carriers to book loads, track shipments and source new capacity in what is being described as a private freight marketplace. In our fifth episode of RoadSigns, we ask: How far can we go in terms of automating freight transactions? Hear a snippet above from Ziad Ismail, chief product officer at digital freight matching firm Convoy, and get the full program by going to RoadSigns.TTNews.com. Launched in September 2017, Emerge has received $20 million in seed funding from a group of investors led by venture capital investment firm Greycroft Partners, according to a statement released by Scottsdale, Ariz-based Emerge on Nov. 15. Emerge is a cloud-based online platform that gives users the ability to manage quotes and load tenders, carrier management, shipment tracking and data analytics, billing and networking with new partners. On its website, Emerge said it provides free transportation management software to firms that agree to participate in the marketplace and help develop its service offerings. The company also states that it plans to generate profits by allowing approved carriers to advertise rates on specified lanes. Andrew Leto formed GlobalTranz in 2003 after a stint in the U.S. Navy and soon was joined by his brother, Michael. Together, they built a company that made extensive use of software to help shippers manage their freight. GlobalTranz was acquired by The Jordan Co. in August for a reported $400 million. In 2012, the Letos spun off a shipment-tracking service they had developed at GlobalTranz. That became 10-4 Systems, which was acquired by Trimble Inc. in September. Besides Andrew and Michael, Jack Holmes, a retired CEO of UPS Freight, is vice chairman and Grant Crawford, a former FedEx Corp. executive, is chief commercial officer. Crawford said that Emerge “helps turn over every rock to find capacity” and will help a “traditionally archaic” industry become more efficient.